INGREDIENTS: Pasteurized milk and sheep’s milk, summer truffle (Tuber aestivum Vitt.) 1%, water, flavoring, salt, rennet, vaccine lactic ferments. Contains: milk. May contain traces of nuts and sulphites. USEFULL INFORMATIONS: Ready to use, cut into slices for the preparation of sandwiches, pan brioches and savory buns to serve as a snack or appetizer. Also cooked for: first courses pasta, rice and warm “ bruschetta “. 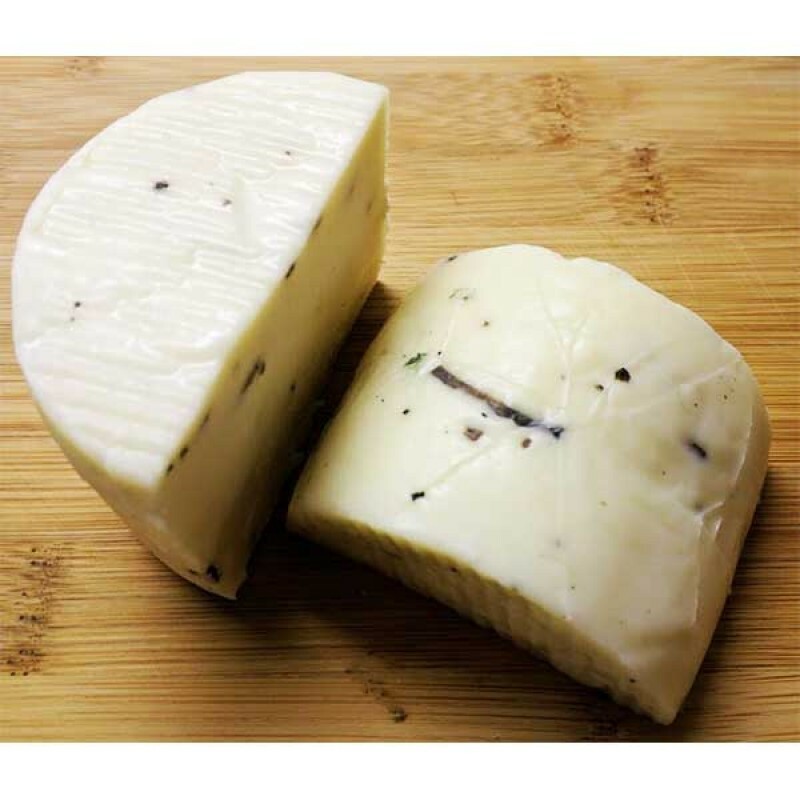 TASTE: Deticate taste tipical of mixed milk chesse enriched by the flavor of summer truffle.